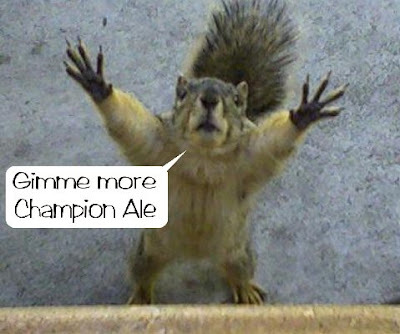 It appears that Sir Dayvd has gone a bit squirrely on us in his Quest for more McEwan's Champion Ale! It's understandable; however, because passions can make flying, rabid, squirrels out of all of us. Ah, the good news is that I managed to open the OBBD site and while I totally disagree with the gook who reviewed the Champion Ale...(beer is very subjective)...the comments below it bear me out....and also the fraternity of beer drinkers has rallied round and confirmed that Champion Ale is indeed on sale, at Tesco's....which is one of the three Big hypermarts we have here... like errmmm, Giant or WalMart with you. I always shop at another one (Sainsburys), so this is why this avenue of delight has been closed to me for so long. 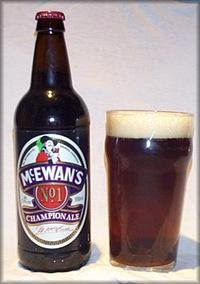 So you know where I will be later...cradling a batch of Champion Ale at the checkout in Tescos. I love stories (posts) with happy endings. Trading mere mortal money for amber wonder -- life is good. 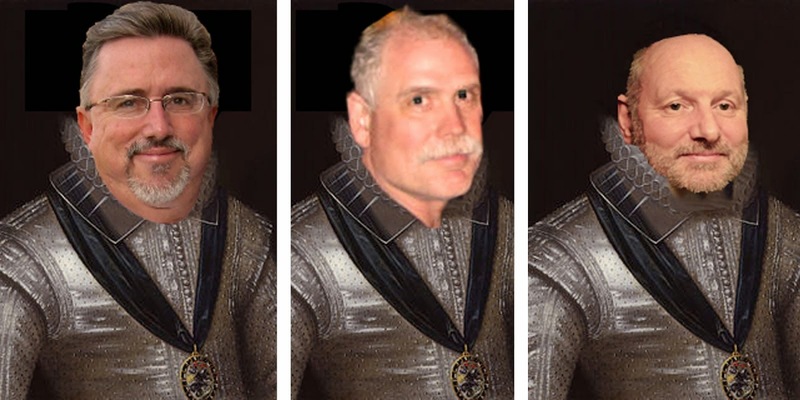 Ah, but, My fellow Knights, there was one final chapter to go on my "quest for the holy Ale", one on which i am nearly thwarted, and i could have done with that squirrel in my pocket. I fetch up at my local meduim size branch of Tescos, (out in daylight, looking for beer when i should be working, tut tut )and .. the beers are tucked away in the back corner of the store. Rows of the big sellers, rows of Old Hooky and Bombadier Wells, but a big empty place on the top shelf by the label McEwans Champion. The heart falls till there i espy , pushed behind a group of Poachers Beer, the beautiful cream colored label of the rare southern Champion Bottle. I reach for it. but my fingers fall six inches short. I am five ten in height with arms like pipe cleaners, but no matter how i stretch, i can't make the final few inches, as it sits taunting me at the back of the long deep shelf. Like a character, in Indiana Jones, i am so close yet so far. I look to step up on the shelf, but such is my highly tuned English embaressment level, that to be seen scrabbling for beer, with the high risk that the shelf will disintergrate under my heft, and have the whole store looking at me surrounded by beer and broken glass, is proving the final test. But as Sir Bowie found in his quest for the Pin ball machine. 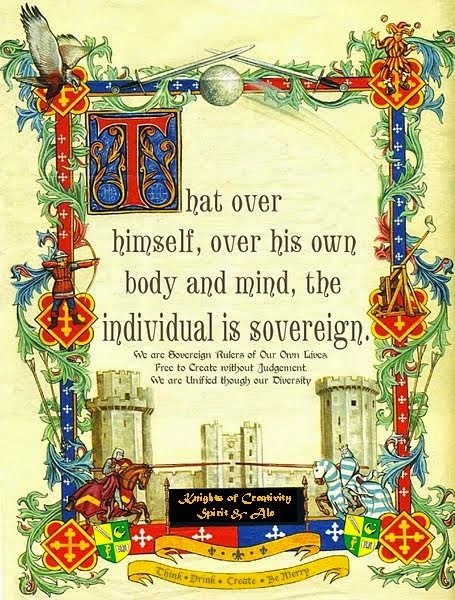 every Odyssy, has its cast of characters, and up steps mine. a sprightly pensioner fella sees me reaching and as i explain what i was up to, in my unbrave knight way, he is up on the shelf in one bound and plucks the glorious booze from its hiding place. What can i say. The first quest is over. The prize rests at home here on the kitchen window sill, like some revered artifact. I am back at work, and none of this will touch my lips until i have atoned for my weakness to temptation, by putting in several more hours of hard work, at which time it will taste twice as sweet, with the added satisfaction.